NEW DELHI: The Supreme Court today ordered that a copy of a plea seeking treatment of two Election Commissioners on par with the Chief Election Commissioner(CEC) in the matter of removability, be served upon the poll panel. It said the reason for giving this protection to the CEC was in order to ensure autonomy to the ECI from external pulls and pressure but the "rationale behind not affording similar protection to ECs is not explicable." "The element of independence sought to be achieved under the Constitution is not exclusively for an individual alone but for the institution. 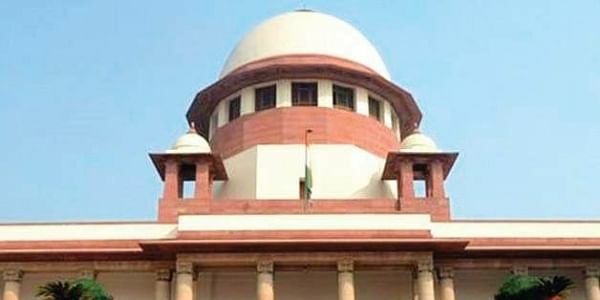 Hence, autonomy to the ECI can only be strengthened if the ECs are also provided with the similar protection as that of the CEC," the PIL said. "However, Clause (5) of the Article 324 does not provide similar protection to the ECs and it merely says that the ECs cannot be removed from office except on the recommendation of the CEC," the petition claimed. "Direct the Central Government to take appropriate steps to confer rule making authority on the ECI on the lines of the rule making authority vested in the Supreme Court of India to empower it to make election related rules and code of conduct," Upadhyay said in the petition. PTI SJK AG ABA MNL RKS ARC .